Even if you get the highest quality, most durable artificial grass, and while it may look great for a long time, unfortunately, it doesn’t last forever. So, what do you do when your synthetic turf starts to look like it has seen better days? While yes, you can certainly just tear it up and toss it out, if you want to be environmentally responsible, you are going to want to recycle your artificial turf. Today, many people have become serious about sustainability, which is a good thing. From recycling plastic bottles and shopping with re-usable grocery bags, you probably take great care to do your part for Mother Nature. If you have synthetic grass and you’re ready to remove it, you will be happy to know that your sustainability efforts can extend to your artificial turf. As the market for this type of material continues to grow, so do the creative ways to recycle it. Can Artificial Grass Really be Recycled? You might have heard people say that synthetic grass can’t be recycled and that it can only be thrown out. Simply put, that isn’t true. Like so many products, there was a time when fake grass was not recycled. It wasn’t that it couldn’t be recycled; it’s that people simply assumed that the only option was to dump it in a landfill. Years of extensive work by those who are committed to improving sustainability have paved the way to the responsible disposal of artificial turf. And today, most people recycle the material without giving it a second thought. However, with that said, recycling synthetic lawn materials isn’t as simple as recycling other products, such as tin cans or plastic bottles. While most artificial grass is made of plastic materials, including polypropylene, polyethylene, latex and polyurethane, which can all easily be recycle, it also contains infill. The materials that are used for infill, such as sand, are difficult to separate from the recyclable components of artificial grass. The issue of recycling lies in separating all of the materials that are used to create synthetic turf so that they can be recycled properly. For that reason, it was much easier – and less expensive – to simply toss fake grass into a landfill. In fact, this is likely why so many people believed, for so long, that this landscaping material could not be recycled. Today, more and more people have become committed to sustainability. As a result, there have been several advances in technology that simplify the process of recycling artificial turf. In fact, there are several companies that are dedicated to recycling these artificial materials. These companies have created systems that make it possible to recycle the components of artificial grass as efficiently as possible. During the recycling process, the landscaping materials are separated, processed, and then they are recycled in the most efficient manner. The recycled materials are then converted into raw materials, which are used to create new products. For instance, once the plastics are separated from the artificial turf, they may go through a process that is known as ‘re-pelletizing.’ During this process, the plastics in the artificial turf are cut, melted and then turned into pellets, which are then used to create a variety of extruded plastic materials. In fact, some recycled synthetic turf products are turned into carpet. If you are going to do the right thing environmentally and recycle your artificial tur, you want to make sure that you are choosing the right company to recycle your materials. Unfortunately, there are many companies that claim they recycle artificial turf. However, in reality, what they do is turn around and sell old fake grass and sell it to the general public at a liquidated price. Though some may consider this recycling, as the grass is given another life, it actually isn’t. Reclaimed artificial turf is not recycled. The issue with this process is that you have to worry about what will happen to the reclaimed material once its new user decides that it is time to remove and dispose of it. While there may be uses or repurposed artificial turf, it should not be misconstrued as recycling. Though there are certainly many options available for recycling your artificial turf, the truth of the matter is this: though the equipment to properly extract the materials used in synthetic grass and recycle it is available, the availability of this equipment is very limited. With that said, despite the fact that it is now certainly possible to recycle artificial grass, the practice of doing so is not as widely used as it could and should be. Thankfully, the future of recycling artificial turf is bright. As technology continues to advance, both in the manufacturing and the recycling process, there is great hope that the availability for properly recycling synthetic turf materials, including the plastics, the infill, and the underlying materials, will surge. If you have synthetic grass and you are ready to remove it and replace it, instead of tossing it into a landfill, you should seriously consider recycling it. 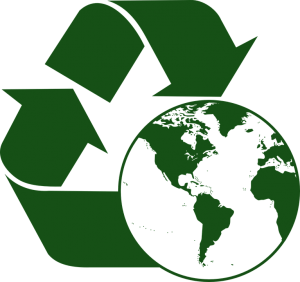 If you are unable to have the material recycled properly, you might want to think about repurposing the material; however, remember that repurposing is not considered recycling.